CEBU, Philippines - An international humanitarian organization has named the northern Cebu town of San Remigio grand prize winner of its “Excellence in Mental Health and Psychosocial Support” search among local government units, giving it P50,000 as cash prize. 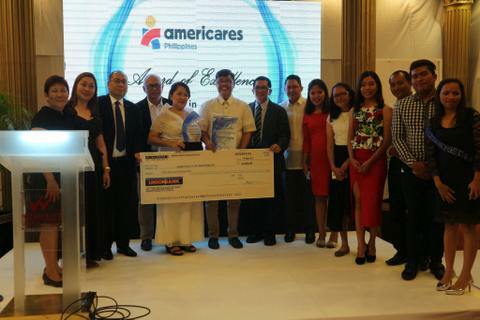 Americares-Philippines recognized San Remigio for its outstanding effort on mental health, including the passage of the “Municipal Ordinance on Mental Health”, which provides the establishment of health facilities and programs especially for the proper care of mentally challenged persons. In particular, San Remigio was recognized for having the most number of Barangay Health Workers (276 BHWs), P500,000 allocation for free medicines of patients, and hiring of a casual health nurse to sustain the town’s mental health programs and services. 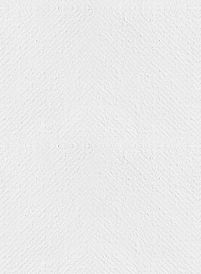 Americares is an international organization that aims to save lives and improve health. It focuses on helping mentally-challenged people, with the support of LGUs, the Provincial Health Office, and the Department of Health. This is as part of its recovery and rehabilitation program for the families of victims of disasters, following the devastation wrought by super typhoon Yolanda last October 15, 2013. Aside from San Remigio, Americares also recognized Borbon town, first runner-up; Medellin, second runner-up; Pilar, third; and the City of Naga, fourth. San Remigio Mayor Mariano Martinez said that they did expect to win, adding that they just did what they thought was the right thing to do for the betterment of his constituents. “We’ll spend lang gihapon on mental health, most probably sa medicines gyud. To be able to sustain it… they (mentally challenged) have to get their medication on a monthly basis jud. And it has to be sustained. It’s not like any other diseases that when they get cured, they’re cured na gyud,” he said. He said they would use the P50,000 for the program, admitting that among the challenges they met was the cost. He said that before, they had about 16 mentally-challenged individuals under treatment and the town spent P7,000 to P8,000 per month for each patient, or more than a million pesos each year. “Swerte lagi mi tungod kay Americares came in. They were able to teach us to find medicines which are much cheaper unya very, very effective gihapon. Karon, we’re treating almost 150 (patients) na. In a year, we budgeted P500,000 ra. Kaya na, P500,000 for our mentally-challenged (constituents),” he said. Dr. Orleta Ursal, San Remigio municipal health officer, the patients include drug surrenderers with drug-induced psychosis. San Remigio is currently treating 141 patients, or 98 who have psychosis, 32 who are neurologic cases (epilepsy, dementia), and 11 whose mental problems are drug- or alcohol-induced. She said that before, they had problems with the family of mentally-challenged individuals in convincing them to have their patients undergo treatment because they felt ashamed. The people, however, are not more open towards the program. Paul Gwyn Pagaran, Americares-Philippines country director, said they have sent invitations to the LGUs in Cebu province a few months ago but only the City of Naga, Pilar, Medellin, Borbon, and San Remigio, were able to comply on time with all the requirements. Pagaran said that Americares initiated the award program for more local government units to also prioritize mental health. He said that while only San Remigio got a cash prize, it was more symbolic than anything else as the most important thing was for the LGUs to join and also provide services for their mentally-challenged constituents. He expressed confidence that more LGUs will join for the next year’s search. “We are very confident because many of them are here tonight. We see that some are…like looking at what these local governments did to be able to get the award. So, I think they’re trying to size up like maybe so they can also participate” he said during the awarding ceremony last Thursday.